This Error Message Article explains the LABEL ARCHIVE error message “LABEL ARCHIVE Server 2014 Error Error 1406. Could not write value SQLSERVER_PASSWORD to key…” and details how to fix the underlying problem that caused it to appear. 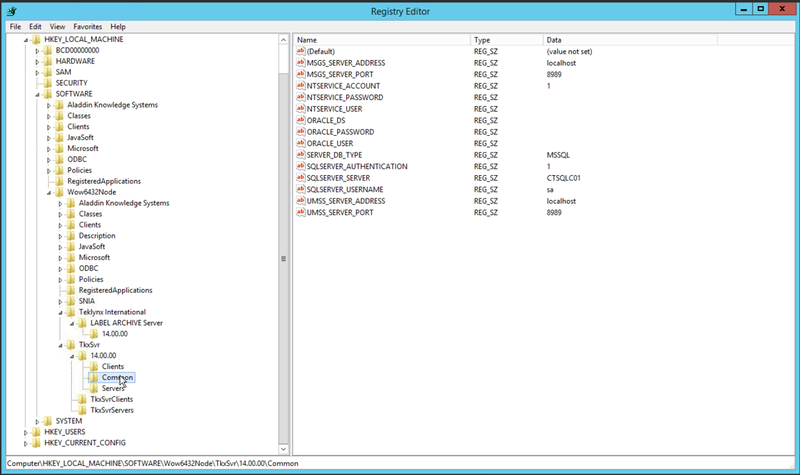 The LABEL ARCHIVE installer is unable to write the SQLSERVER_PASSWORD registry key. In the case that prompted this article, the password value entered by the client during installation started with a “#”. The TEKLYNX development group identified this as the reason why it failed. It was unclear if this was a bug in the software or a limitation in Windows. Reinstall using a SQL password that does not contain the “#” character.